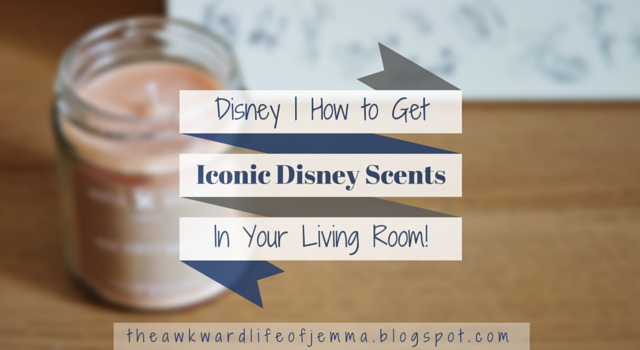 Disney | How to Get Iconic Disney Scents in Your Living Room! 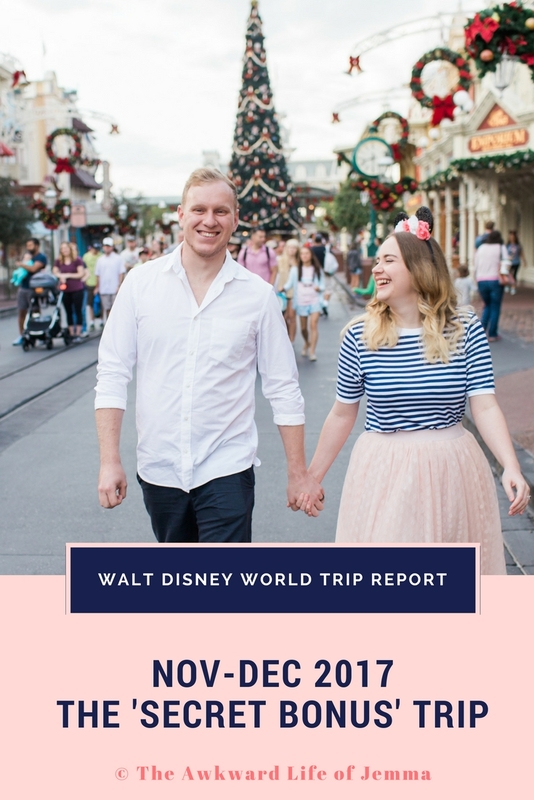 It feels like ages since I've written a Disney themed post on this blog even though I promised to do a whole series of them! 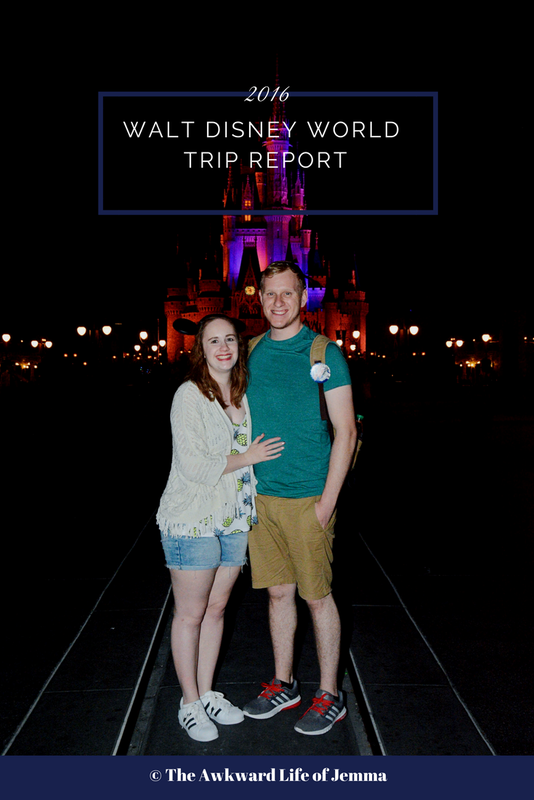 My schedule has been a little all over the place lately but I'm so pleased to be finally writing this post. Now, if any of you have been to a Disney park you'll know that scents have a big role in creating the perfect atmosphere for a number of places and attractions. You might not consciously notice it, but Disney do in fact use 'Smell O Vision' aka the 'Smellitzer' (yes, seriously) to pipe in smells around the parks for example, if you walk down Main Street USA you might notice the scent of freshly baked cookies or vanilla which comes not from the bakery, but from air vents! Other scents you might instantly recognise are the orange smell as you fly over the citrus groves on Soarin' and the apple pie scent during the 'Be Our Guest' scene of Mickey's Philarmagic. If you're at Walt Disney World you can even buy air fresheners that smell like your favourite Disney foods, including those iconic Mickey Waffles, to put in your car. (Although why you'd want your car to smell like a Turkey Leg is beyond me!). Yes it may be surprising but Disney scents are a thing and they can be the perfect way to add a hint of Disney magic to your home too. There are a number of different craftspeople selling their own versions of these iconic Disney smells, but up until recently I wasn't aware of anyone selling them in the UK. That was until I came across Maple and Whisky Candle Co. on Etsy. The company is based in Colchester and since I have been following them they have been on a couple of different holidays to the Disney Parks on scent-scouting missions (some job, huh?). They offer a whole range of different scents, even some Harry Potter themed ones too, and are constantly working on more. Of course I couldn't wait to place an order but I did find it difficult to decide which scents I wanted! In the end I chose Main Street Bakery and Writer's Stop both in the small 8oz size which are £7.50 each + postage. They arrived quickly and came well packaged which is important as you don't want the glass jars to break! I noticed the smell almost immediately after taking them out of the packaging. I also love the design of the labels, I think they look slightly minimalist yet rustic and very sophisticated. Lot's of candles on Etsy have branding that is a bit lacking, but I think these stickers work really well and the branding is always consistent. 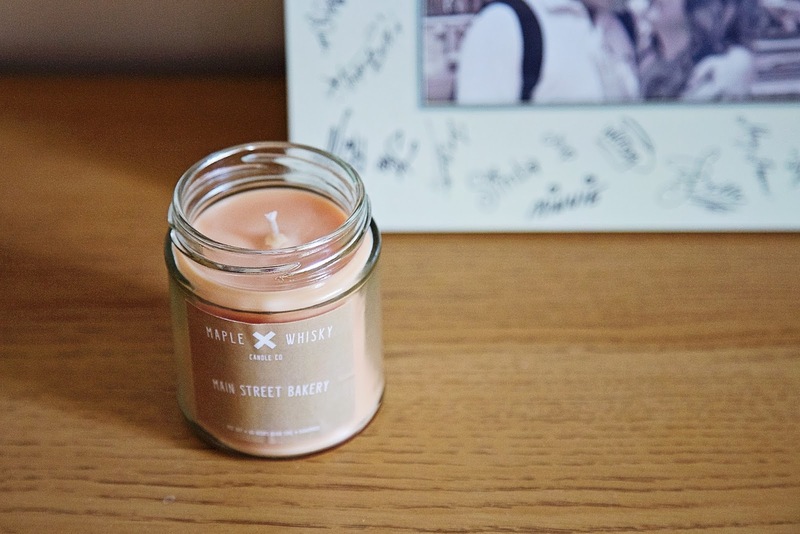 The first scent that I opened was the Main Street Bakery. I couldn't not buy this as it is probably one of the most famous Disney scents. It's supposed to smell like freshly baked cinnamon rolls and chocolate chip cookies just as the bakery would. The candle smells very sweet, but not sickly at all. The cinnamon scent is strong and there is a lot of vanilla too. I'm not sure that is smells like cookies but it does smell like baked goods in general and cinnamon rolls in particular. When you first open the candle the scent is very strong and has a lot of throw but this does die down over time. 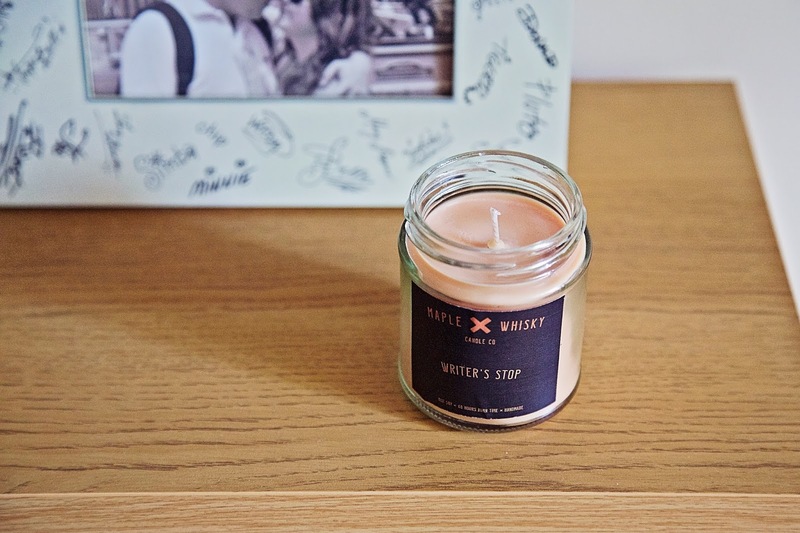 The next candle I bought was the Writer's Stop. Now this isn't necessarily the first scent you'd think of when you think of Disney, especially when there are the Soarin, Burning Rome, Pineapple Whip and Mickey Waffles scents to choose from, but I just couldn't resist it. Writer's Stop is a small coffee shop at Disney's Hollywood Studios situated just behind the Streets of America. It's speciality is it's coffee and carrot cake but it also sells other pastries and a small selection of books, all in all it is a very cute and out of the way shop and is a must if you are visiting the Osbourne Spectacle of Dancing Lights (which ends this year - boo!). This candle smells strongly of and cream cheese icing and rich coffee, the scent is indulgent, bitter yet creamy and I just can't get enough of it! 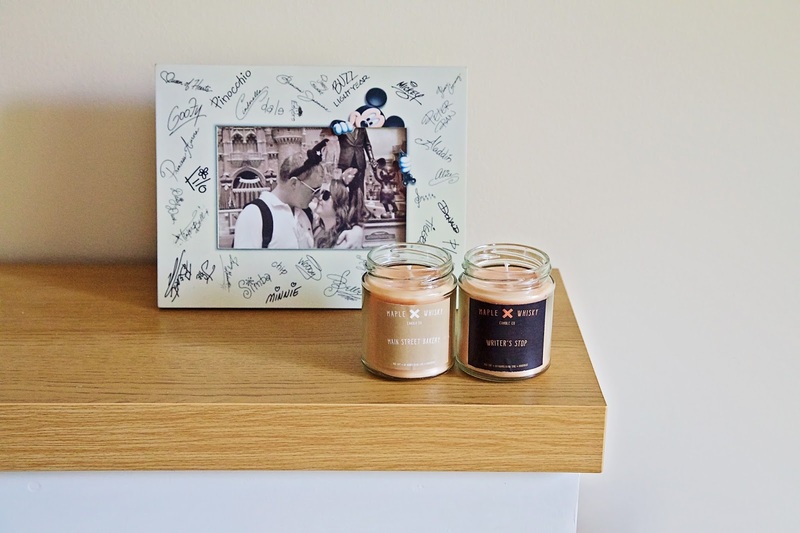 I love these candles, so much so that I put off burning them for ages as I didn't want to use them up too quickly! I think I may have made a mistake leaving them out with the lids of for some time though, as now when I burn them the scent isn't nearly as strong. Can the scent evaporate over time? Or am I just too used to the scent now to notice it? I'm not sure. I'm still tempted to buy a lot more of these candles in different scents though! They also offer wax melts, tea lights and a bigger version of the candles. I would love to try the Butterbeer candle next, but I'm also very tempted by the new Christmas range.